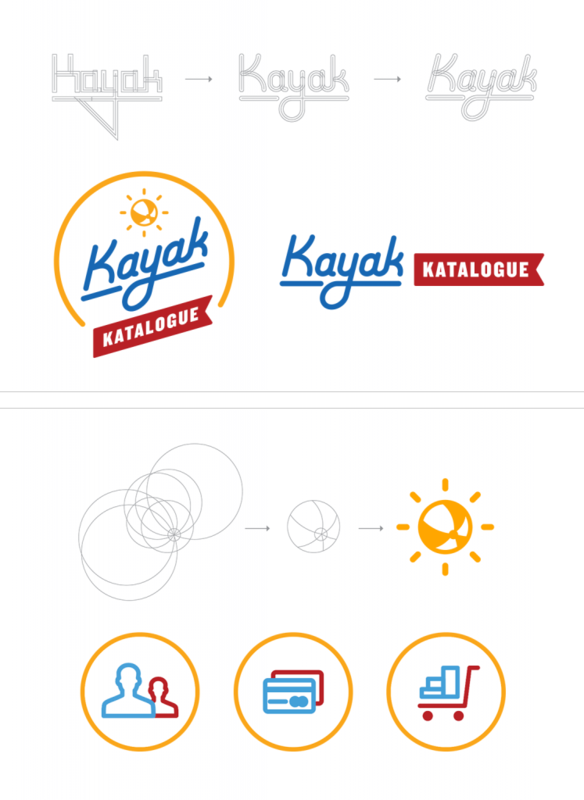 With over 50 years in the above ground pool industry, Kayak Katalogue needed a new site an brand identity that represented their quality and expertise. 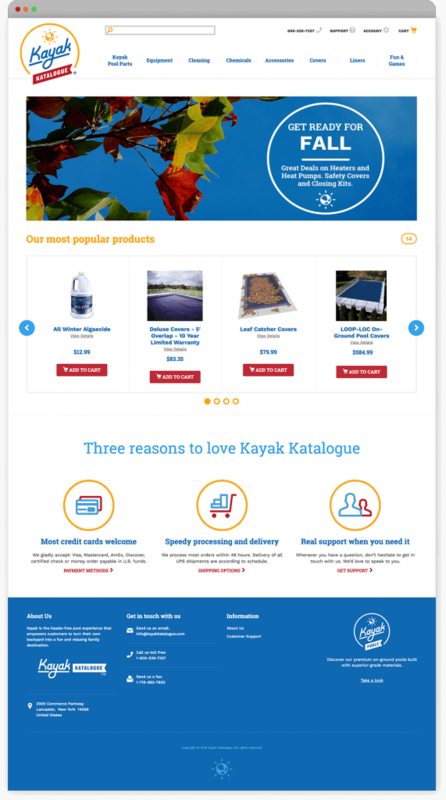 Kayak Katalogue needed a customer focused e-commerce platform that would work with their current ERP system and make their site easier for purchasing and data collection. 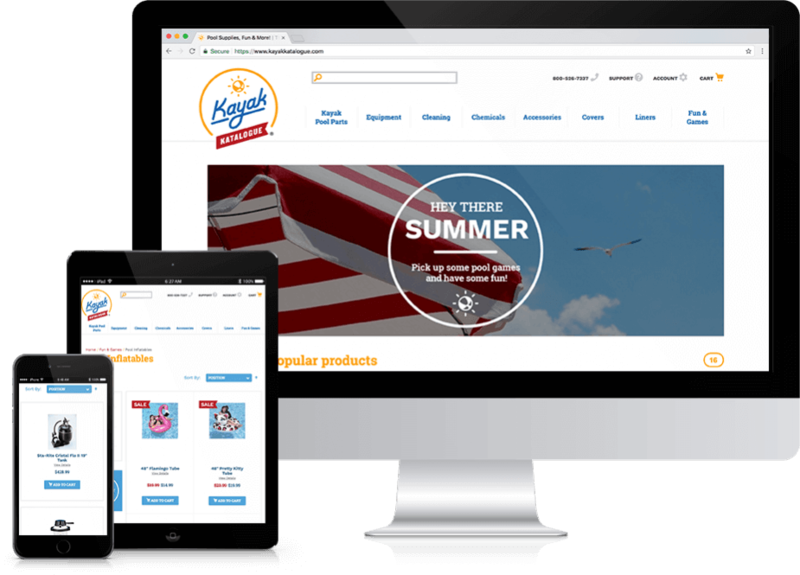 We took Kayak Katalogue’s previously old e-commerce platform and transformed it into something that is easy-to-use and beneficial to customers and the company. 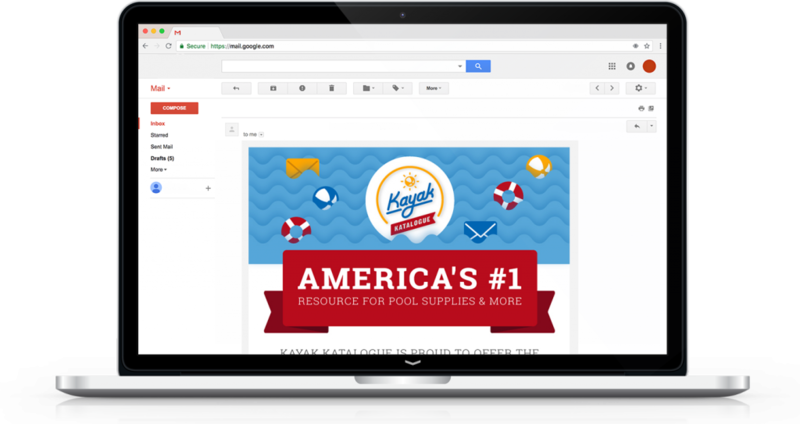 Cypress North custom designed email templates for use in GSP Ads to drive new leads, stay top of mind to those that have already been to the Kayak site & to solidify Kayaks branding. We also created animated display ads to grab users attention and provide more examples of Kayaks products that would not have been shown in a static Display Ad.